SBI Awnings are a highly established company who have built up a reputation over the last decade for delivering on all our promises. With an in depth knowledge of the market and an independent approach to using different blinds, awnings, canopies, shelters, window films, car ports and more, we should be your first point of contact when considering anything in this area. Recently we have found ourselves supplying and installing a large number of Shop Blinds, School Shelters and Security Shutters in London and have discovered some fantastic designs at highly competitive prices. Providing variety to our customers is something we take very seriously as we feel that this is the only way you will find the right styles. You probably recognise the importance of how you sell your shop from the outside and the importance of attracting passing trade. The use of blinds can really set the tone for your whole shop and create exactly the right impression, and exactly the right style that you want to portray to potential customers. We will help you with ideas, show you what is available and even demonstrate using our portfolio how these ideas have worked for other companies similar to your own. Shop Blinds are not only for appearance outside either, they create the right ambience inside too. You can reduce UV light and Infra red coming in or escaping so your premises will be at a constant temperature. This has the additional benefit of saving on air conditioning use in the summer months and heating bills at winter time. SBI supply and install Shop Blinds London and office blinds for all types of businesses small and large. A recent example of their work can be seen at the prestigious offices of Canary Wharf Ltd. SBI were given the responsibility to replace the blinds in the Head Office of Canary Wharf Ltd, 1 Canada Square, Canary Wharf, London. Canary Wharf Ltd decided to have SBI Ltd install 25mm Venetian blinds in a silver finish. The blinds offer a modern and stylish addition to the offices. The blinds are so versatile they can easily offer shade or light when required. SBI supply and install a wide variety of blinds from roller blinds, vertical blinds, roman blinds, pleated blinds, non retractable sky light blinds, Venetian blinds, black out blinds, solar reflective blinds, wooden blinds, grass weave blinds, electrically operated blinds, remote control blinds, made to measure and DIY blinds. SBI also stock a large range of window films that they can supply and install for you. SBI films include safety and bomb blast films, solar, tinted and heat control films, reflective films, frosted films, patterned films and black out films. Make SBI your first choice to providing you access to top quality products. Call the free phone to book an appointment on 0800 0742 721. SBI supply and install a wide variety of blinds from roller blinds, vertical blinds, roman blinds, pleated blinds, non retractable sky light blinds, Venetian blinds, black out blinds, solar reflective blinds, wooden blinds, grass weave blinds, electrically operated blinds, remote control blinds, made to measure and DIY blinds. SBI also stock a large range of window films that they can supply and install for you. SBI films include safety and bomb blast films, solar, tinted and heat control films, reflective films, frosted films, patterned films and black out films. Make SBI your first choice to providing you access to top quality products. 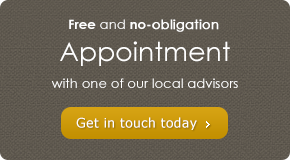 Call the free phone to book an appointment on 0800 0742 721.